Calibration is a critical last step in any audio/video system. You will never experience what your equipment is truly capable of until it is calibrated. While a big picture and a loud sound system can create excitement and achieve a WOW factor, it can also fall woefully short of recreating the artistry that the professionals in the film & TV industry work to achieve. A properly calibrated system achieves the goal of having the media being played take centre stage and not the equipment. 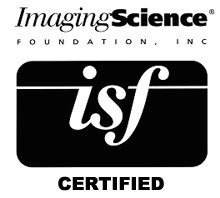 We are both HAA (Home Acoustics Alliance) and ISF (Imaging Science Foundation) certified so that we can calibrate equipment to perform at its peak potential. 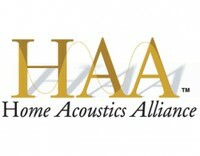 To learn more about either of these organizations click on their respective logos to the left.